From the now legendary face/off between Sam Henderson, Johnny Ryan and Steven Weissman. 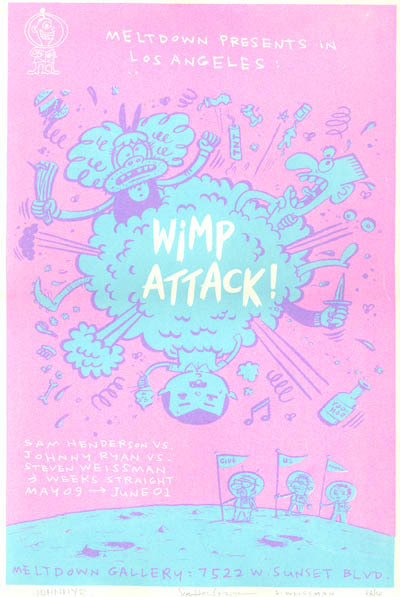 Sixty 11 x 14" two-color silkscreened posters, hand-pulled by honorary wimp, Jordan Crane! Signed and numbered, not many left. Prices subject to change without notice (like just now).